Besides CDs, USB is another music carrier for playing in a car. iMusic is capable of creating car playlists. Download and install iMusic on your Mac or PC. And then click “TOOLBOX” menu on the top of the software. Next select “CAR PLAYLIST”. 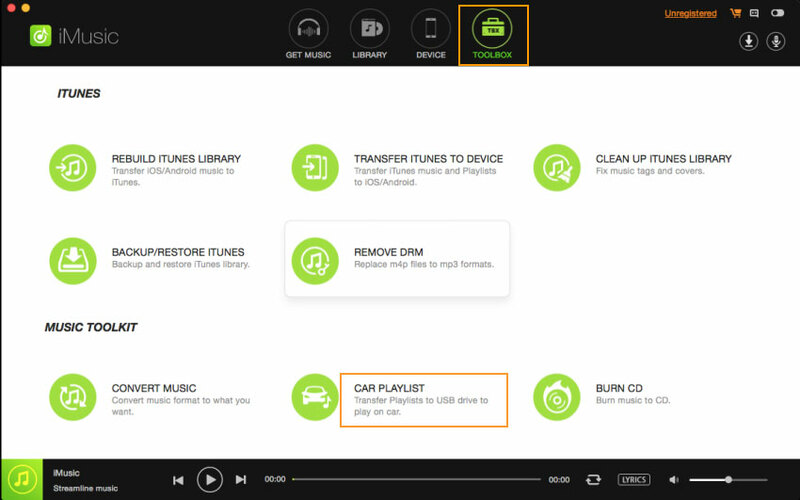 A new window will pop up, displaying the available playlists. Insert a flash drive to your Mac or PC. Step 3. Check the needed playlists and click “Finish”. By default, all playlists are checked. You can uncheck the unwanted ones. 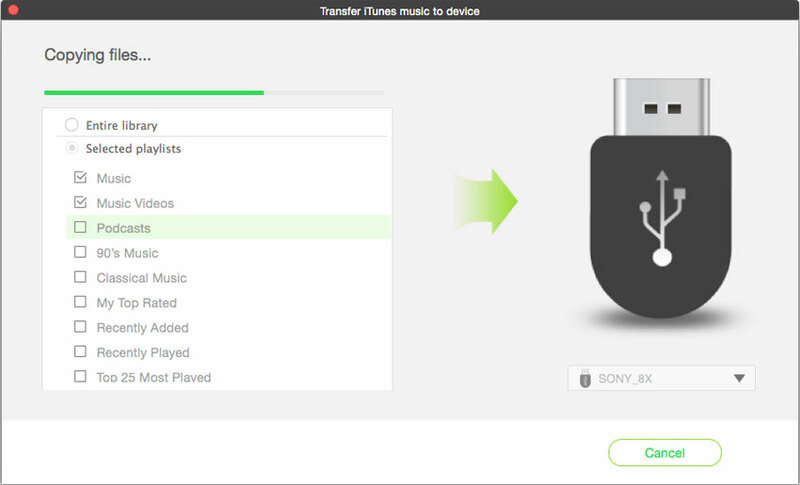 When the transferring process is done, you can open the flash driver to check the car playlist. It is a file with extension as .m3u.